The outgoing chief of the World Trade Organisation (WTO), Pascal Lamy, was in Addis Abeba last week, where he spoke to Prime Minister Hailemariam Desalegn and his senior ministers in trade, on Ethiopia’s prospect of joining the global trade body as a full member. He had also met a Chairperson of the African Union, Dlamini Zuma, as well as Fatima Haram Acyl, its trade and industry commissioner. Concluding his brief sojourn on January 8, 2013, Lamy had a moment to respond to questions from Tamrat G. Giorgis, managing editor, about his talks here, and growing criticism that the WTO has deprived policy space to its poorer members, in a bid to protect their economies from global competition of unequal players. He rebuffed the latter as a “non-issue”, as far as African countries are concerned. Fortune: My understanding is that you came here to talk to the Ethiopian authorities, as part of your discussion with numerous members of the African Union (AU)? 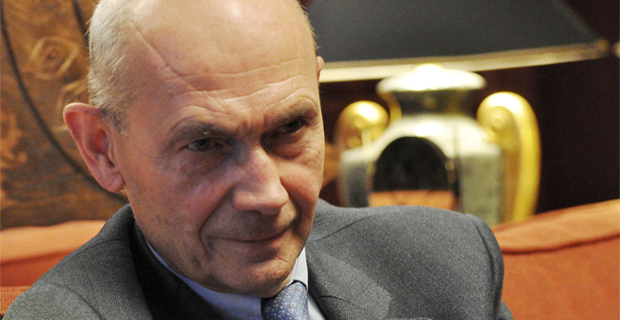 Pascal Lamy: As usual, when I am in Addis to participate in a meeting, I work on Ethiopia’s WTO accession process, plus other missions, like G-20 preparation. I also have another mission, for which I had a meeting with Dlamini Zuma, chairperson of the African Union Commission, and the new African Union Trade Commissioner, Mrs. Acyl. Q: You also met the Ethiopian Prime Minister. Yes, I met the Ethiopian Prime Minister, as well as the Inter-Ministerial Steering Committee that is overseeing the accession negotiation, which is headed by the Minister of Trade & Industry. I also held a meeting with the Foreign Minister. Q: I know that you had several encounters with Ethiopia’s former Prime Minister Meles Zenawi. Of course, with whom I had a close personal relationship. Q: Tell me your impressions about the new Prime Minister? It is your first time to meet him, I suppose. Nobody will replace Meles Zenawi. He had his own great vision and capacity. But, I think, the new Prime Minister is ready to exercise leadership and get things done. I think the vision is the same, including the WTO accession process, and domestic and foreign generated growth, through export. The feeling I had was that he is very much aware of all these connections. Q: Did he strike you as a man who is bold enough to make decisions, or rather someone who is new and hesitant to assert? I found him very much in control of the issues. He has a good grasp of the WTO, and also the opportunities and challenges of Ethiopia’s accession to it. All of this was on his mind, so we directly jumped to an operational discussion, which is what we can do this year to bring a conclusion to the accession process. Q: Are you hoping that the accession process of Ethiopia to the WTO will be concluded this year; in 2013? I think it is very early to have such a short-term horizon. I think, considering where we are and where we need to be for the accession negotiation to conclude, there still remains quite a long road to walk. I am not saying it is impossible to do it by the end of this year, when we have a ministerial conference. But, it certainly will be a very tough goal and it will certainly need a lot of acceleration, in order to get there, if it was determined that such a deadline was useful. The timeframe within which we have been operating so far, to conclude the process, is 2014 or 2015. Again, I am not saying it will not be achievable earlier, but it will certainly need heavy lifting on both sides. Which means Ethiopia on one side and the WTO negotiating partners, first and foremost, the United States and the European Union on the other. They are the main players in the most difficult remaining part, namely; services, including telecoms and financial services. Q: I would like to hear your reflection on the trend that has emerged since 2008 and the economic difficulties across the world. We see that particularly developed economies are resorting back to protectionist tendencies, which is contrary to the values of the WTO, is it not? As expected, this crisis has triggered protectionist pressures everywhere, not just in developed countries, but also in developing countries, and that is, in a way, understandable. We have this pressure, but not all of it has translated into protectionist action. So far the amount of world trade, which has been affected by protectionist measures, let us say by trade restricting measures, is probably only two percent. What remains true is that growth in main export markets, for countries like Ethiopia, are slower today than previously. Developing or emerging countries, for which export markets are a strong engine for growth and development, are experiencing these difficulties. When we look at how much of Ethiopia’s growth emerges from exports, it is a big component. Inevitably, the slowing down in these economies has a huge impact. Q: Don’t you think the fact that disputes scheduled to be settled by 2013, have become the largest in number since 2003, suggests otherwise? It shows that people are more sensitive. It shows that there are more frictions and these translate into disputes. The WTO system ensures that trade frictions do not degenerate into wars, precisely because we have a stream whereby this can be adjudicated. True, the number of cases is growing, as a function of growth in trade, notably in bilateral terms. Frictions are in statistical proportion to the volume of trade. And volume of trade is still growing; although it is growing less than in the past, nonetheless, it is growing. But, there is this higher sensitivity if country “X” modifies its import licencing system, if this has an impact on trade flows, because this creates a restrictive growth environment. What is essential is that the dispute resolution mechanism works, and it delivers normal adjudications on who is right and who is wrong; who should be doing what, and when. Q: One area where African countries are seriously challenged in global competitiveness is trade financing. What sort of proposal do you have, or suggest, so that either multilateral or bilateral support for African countries can be made available? We have been working on that quite a lot since the outbreak of the crisis, in 2008. 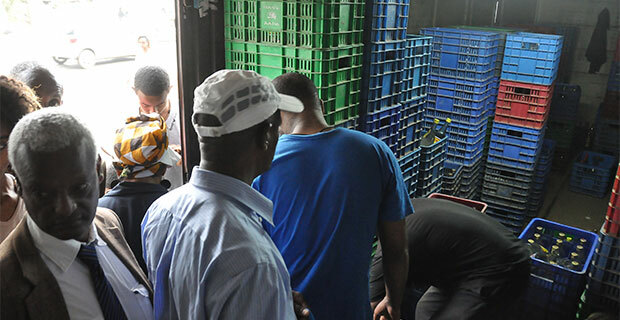 The crisis in the financial system, and its subsequent re-regulation, have resulted in trade financing being less available and more expensive for trading operators. As usual, if that happens, then it’s the weakest in the system who are hit the most. In addition, in Africa, the trade financing structure is still needed to be developed, if you compare it to Asia, America and Europe. We have pushed this issue in the G-20, in order to ensure more liquidity in the market and affordable trade finance. We did this at the London G-20 meeting, with a huge amount of liquidity inputted; notably through the World Bank, the International Finance Corporation (IFC), regional development banks, export credit agencies and export insurance agencies. It worked. We also, together with regional development banks, helped to incentivise regional development banks to set up specific regional trade finance programmes. We did this with Inter American Development Bank, Asian Development Bank and with the African Development Bank, which is now starting to finance operations, which were not there before. We have also worked with the Basel committee to ensure that the rules applying to trade finance recognise their relatively safer quality. Recent announcements, made in this regard, are going in the right direction. Q: Trade financing is one area of constraint, but another one is the trade policies of the countries themselves. African countries have been known for developing poor policies for many decades, but recently the narrative has changed; such as “Africa rising” narratives. The Economist recently noted that trade policies in Africa are actually improving. Do you agree with that statement? True. We had the decision, at the African Union Summit last year, to boost intra-Africa trade, which we are supporting. There is complete consistency between what Africa wants to do within Africa and what we, multilaterally, want to do to reduce the costs of trade, through a deal on trade facilitation. The average cost of moving trade through boarders worldwide is 10pc. The average trade weighted tariff worldwide is five percent. In a way, in today’s world, you have to pay twice as much in administrative operations, in order to move things through borders, than you do in customs tariffs. Matters get worse if you are a landlocked country. This means that in the case of Africa, where the main challenge is growing intra-African trade, from roughly a 10pc to 15pc base, to something which could be in the order of 30pc to 40pc, border crossing or removing road blocks and inspections, and streamlining customs, which we know everywhere in Africa is a major challenge, will be essential. Q: One country which is landlocked and requires a lot of stamp for import and export trade is Ethiopia. I remember the last time you were here you spoke to students of Addis Abeba University and you told them that at the 8th ministerial meeting, members of the WTO agreed to help least developed countries (LDCs) to streamline their accession as fast and as simply as possible. But you said that what was remaining was for Ethiopia, was to show a strong and sustained commitment. What reasons compelled you to make that statement? I think the benefits of the WTO accession for Ethiopia are huge, for the simple reason that Ethiopia’s growth is highly dependent on exports, especially in the years to come. Ethiopia needs an insurance policy that this export markets will remain open. Ethiopia does not have this insurance policy currently, because the country is not a WTO member. Of course, Ethiopia has duty free access to the European Union and the United States, but through unilateral programmes, which are not bound within the WTO. 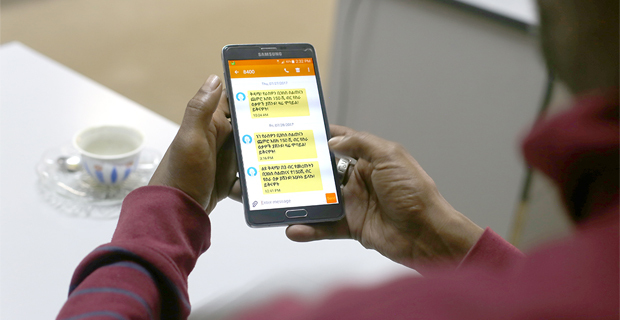 The only certainty, which Ethiopia has, with regards to exporting continuously to these important markets, is through its membership of the WTO. Once you belong to the WTO, the conditions to access these markets become clear, stable and transparent.. In order to do that, Ethiopia also needs to play its part in the process, by facilitating its own operations, through the modernisation of systems, and by matching a number of the WTO’s standards. 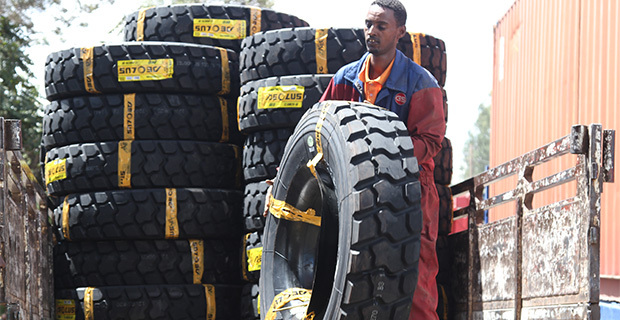 Improving on measures to facilitate trade and removing customs red tape – part of what is being negotiated in Geneva at the moment – will be very important for Ethiopia’s competitiveness. These are things that do not necessitate billions of dollars. It is something, which is simple, in order to facilitate trade. 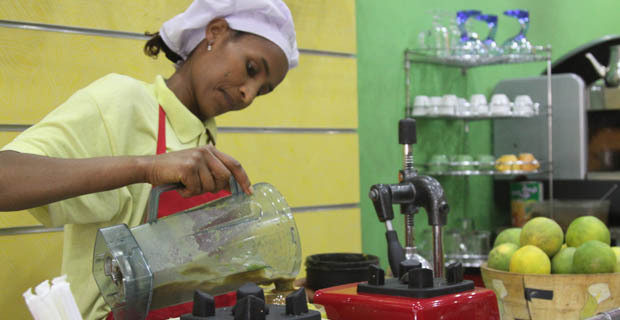 And of course, in many developing countries, including Ethiopia, the tradition is quite bureaucratic in this field, and making this lighter and simpler is perfectly doable. Experience shows, that if you make it lighter, simpler and more automated, the procedures relating to your customs decrease, rather than increasing. 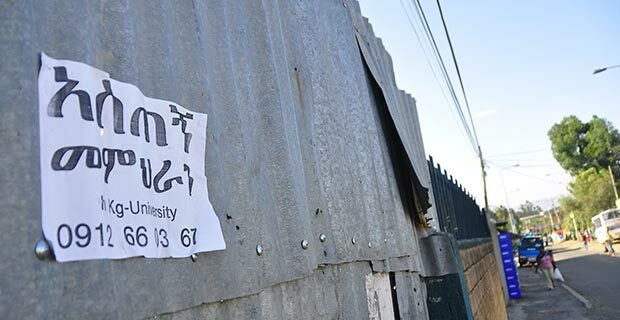 Q: Do you have a reason to think Ethiopia is not showing strong and sustained interest? Again this is part of what the country has to do in order to become a WTO member and it is slowly moving in the right direction. Q: Let me rephrase my question. In that address you said the tide for Ethiopia was very high, do you see Ethiopia riding it well so far? I think the answer is yes and I think that what we see in the negatives of the present international economic situation and the outlook for a country like Ethiopia, given the huge importance of exports for the country, creates even more incentives to go in this direction. Take the example of cut flowers, which brings a huge stream of trade flow for Ethiopia. If the standard of living in Europe or the United States is growing slower than in the past, this will impact this sort of consumption. This is fragile, and if there is slow growth, these markets will be impacted. The answer is you have to grow your volumes if you are to make a bigger concession on the price, in order to keep your market share. Q: Ethiopia applied for accession in 2003; and we are now almost 10 years on, and not much has happened. 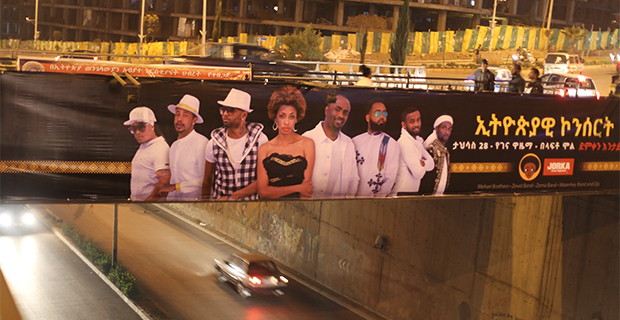 What do you think is holding Ethiopia back? I don’t agree with that. 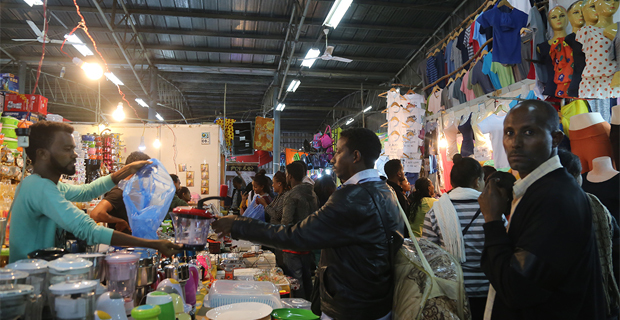 At the end of the day, Ethiopia tabled a ‘goods offer’ last year, and there is negotiation. 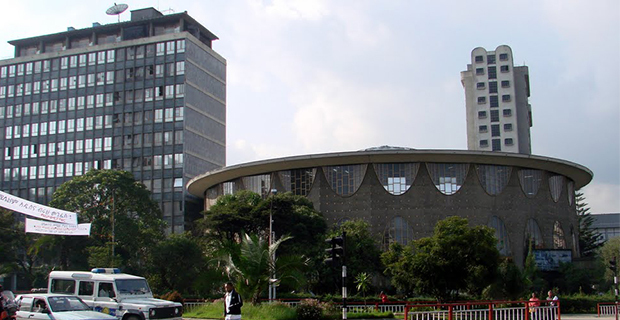 Ethiopia has to table a ‘services offer’, sometime in the first quarter of this year, which is a step forward. It is moving step by step. Q: In that address to students, you also said that Africa’s share of export to the world was 12.3pc, and compared to international standards, it was much lower. And even then, if you look at the manufacturing component, it is very insignificant and that has to do with African governments not taking good policy measures to boost domestic manufacturing, in order to become competitive. There are pundits who suggest that it is absolutely necessary for African governments to follow protectionist policy, subsidise their industries and support manufacturing companies that are doing well. Are you alarmed by this course, because I see these voices increasingly growing and picking up momentum? I do not see it growing. This school of thought has always been there, since the 1950s. But what happened in the last decades in development is also there. When we look at countries that opened and used trade as a tool of development, they have been doing much better than others. The numbers are there; growth, more jobs and poverty reduction. Q: But Africa’s manufacturing status in the world has declined significantly? When we look at the absolute value, not just the proportion, it has grown and it will continue to grow. There is a consensus worldwide that Africa is an emerging continent; there is a lot of entrepreneurial vibrancy, here and there, and the key is in the size of the markets. What distinguishes Africa from the rest of the world is that Africa still has quite a large number of relatively small domestic markets. But, there is no way, in today’s world, a country with an 80 million population can develop only on the basis of its domestic market. Q: The African Progress Panel (APP), chaired by former UN Secretary General Kofi Anan, called for African countries to be exempted from broader WTO rules and to get policy space to take measures in protecting their manufacturing and agricultural sectors. Don’t you think that this is a legitimate demand? I read it, of course. African countries do not have policy space issues with the WTO. It is not an issue for present rules of the game, particularly for the least developed countries in the WTO. Nor will the conclusion of the DOHA negotiation substantially erode this space. Q: When you took over as Director General, there were countries in the process of accession, and you will retire very soon leaving behind countries like Ethiopia still not making it to full WTO membership. Do you feel there is something you could do better to make it happen before you leave? I will do my job until the very last minute and I will keep taking special interest in Ethiopia’s accession, as I have done in recent years. But at the end of the day, this is a negotiating process. I am not the one who negotiates. It is negotiation between an applicant country and the WTO members. What the WTO can do, in any negotiation, is facilitation and making sure that parties understand each other, in order to lead to more convergence. I will certainly keep doing this with Ethiopia. Q: Do you expect a breakthrough in the next ministerial? On a number of items on the agenda for negotiations, I think there will be some breakthroughs, starting with a trade facilitation agreement, which is a big component of the economic benefit in the DOHA Round. Q: There are nine candidates; including two from Africa, bidding to replace you at the WTO come August 2013. Do you think it is about time to see an African at the helm of the WTO? It is a question I can’t comment on; it is for the members to decide.